An annual favourite, the Canterbury Preacher's Companion provides a total of 150 complete sermons for the coming year, with hymn suggestions. For each Sunday of the year there are two sermons based on the Principal and Second Service lectionaries, plus a section of sermons for special occasions - Mothering Sunday, Harvest, baptism, marriage, funerals - and for all major saints' days. In addition, it offers at-a-glance summaries of the Bible readings, seasonal introductions, a full colour liturgical calendar and hymns suggestions throughout the year. The sermons are complete and ready to use, or can be used as a base for local adaptation. A boon for hard-pressed clergy and preachers everywhere. Jim Cotter is an Anglican priest, retreat leader and one of the most creative liturgists of our day. He was previously a lecturer at Lincoln Theological College and Chaplain of Gonville and Caius College, Cambridge. For 25 years he successfully ran Cairns Publications. 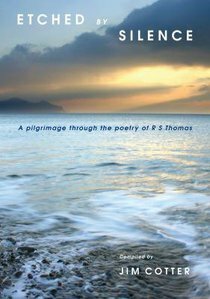 He lives in R S Thomas' former parish in North Wales.